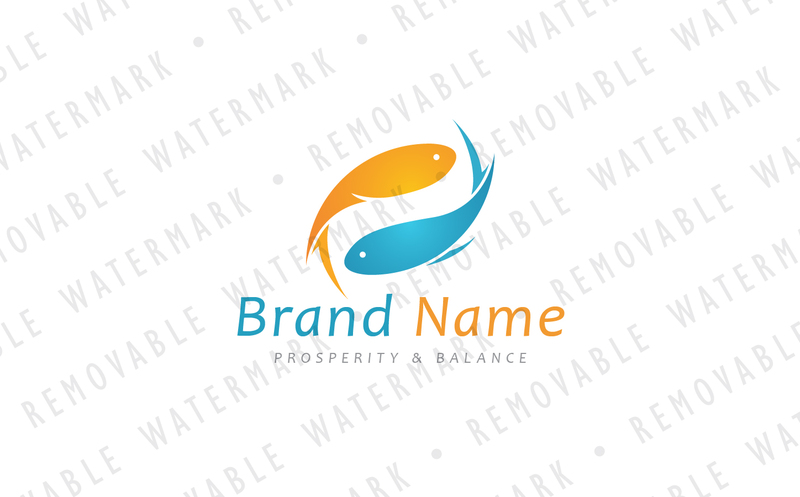 Logo template with idea of pair of fishes, circling around each other. Theme can symbolize prosperity, collaboration, harmony or balance. Additionally, overall shape resembles circle of Yin Yang. Design can be interesting for spa and wellness resorts, yoga and meditation companies, public aquariums, trading, consulting or investing companies, seafood restaurants and similar.